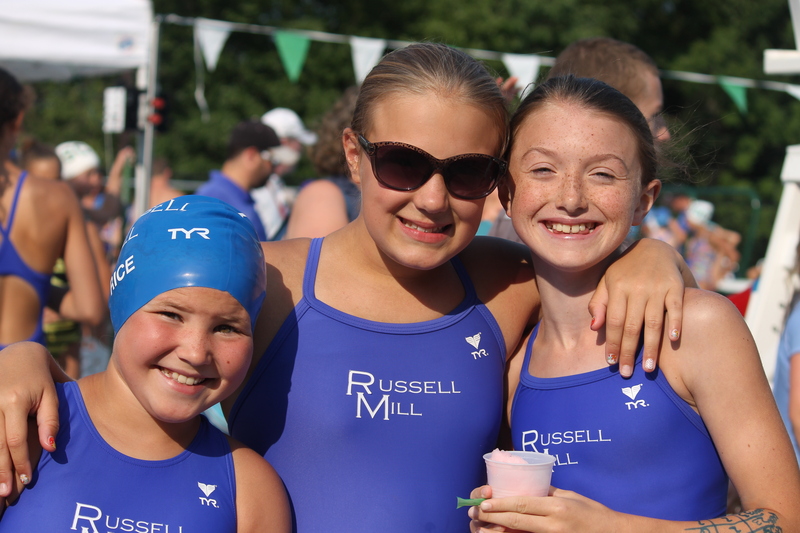 Russell Mill offers both swim and dive lessons and teams over an eight week period from June – August. Our swim program is lead by Craig Vitale, head coach of the Chelmsford High School boys swim team. 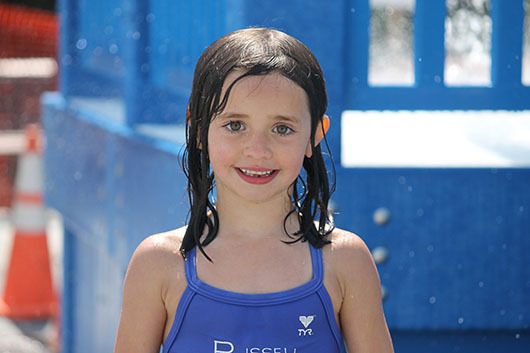 Russell Mill offers swim lessons to kids starting as young as 1.5 years old through the age of 18. We offer 6 levels for your swimmers to progress through. For our youngest swimmers the focus is on being comfortable in the water and learning some basic skills like floating, submerging and stroke development. As the swimmers progress through the levels they will learn the basics of the 4 strokes (freestyle, backstroke, breaststroke, and butterfly) as well as submerging in deep water and diving. The goal of our swim program is to help our swimmers become comfortable in the water and be confident swimmers, but most importantly have fun! Levels and progression are determined by our coaching staff and may be changed during the season as needed. All lessons are held in the morning Monday through Thursday before the pool opens for open swim (12:00). Russell Mill offers dive lessons to kids starting as young as 5 years old through the age of 18. Our lessons are a mix of ages and focus on the techniques used in various dive positions. The goal is to make the diver comfortable diving off the board and entering the water head first. Dive lessons are held in the morning before the club opens for free swim (12:00). During activity sign up you can choose from either a Monday-Wednesday or Tuesday-Thursday lesson slot. Participation on our swim and dive teams is included with your family membership. We also offer a team only membership for older kids who are looking to participate only during team practices and meets. Our teams participate in the Summer Aquatic League from June – August. They are a great way to meet new friends and make great summer memories! Our swim team is open to swimmers age 3 (if they are able to swim unassisted) through 18. Swimmers age 6 and under swim a half length of the pool, all other swimmers swim 25 yards or more. Swimmers will be asked to swim a variety of strokes based on ability and possibly be part of a relay team. Swim/dive meets are held during the week, with the exception of the championship meets at the end of the season which are held on the weekend. There are typically between 4 and 6 swim/dive meets through the course of the season and attendance is encouraged. Swim/dive meets are a mixture of home and away meets. For the meets that are held at our pool we require swim and dive team parents to volunteer to help run the meet. It takes between 15 and 20 volunteers to run a meet and without parent volunteers these meets can not happen. If your child is joining the swim or dive team please be prepared to volunteer in at least 2 home meets. Swim team practice is held in the morning before the club opens for free swim (12:00). Our practices are held by age group and are held Monday through Friday. Our dive team is open to divers age 5 through 18. Dive meets are usually held in conjunction with Swim meets and are held during the week, with the exception of the championship meets at the end of the season which are held on the weekend. There are typically between 4 and 6 swim/dive meets through the course of the season and attendance is encouraged. Swim/dive meets are a mixture of home and away meets. Our practices are a mix of age groups and are held Monday through Friday.